If President Macri’s first full year in office saw the trade surplus shrink alarmingly to US$1.8 billion in 2016, this year looks like ending with an outright deficit of fully US$8 billion – the widest gap since 1992 when convertibility was at its height. President Mauricio Macri. Foto:Pablo Temes - Cedoc. United States President Donald Trump is not exactly a poster boy for the upcoming World Trade Organisation (WTO) summit in this metropolis but New England economist Dr Hale shows a keen interest in the conclave. “Next week you’ll be hosting the WTO summit down there. Knowing from experience that you always use an ongoing story as an excuse to postpone comment, this will be my plan of action – ask you now for a curtain-raiser and then return to the subject after the event in a fortnight’s time if there is anything significant to report. “I’m thankful that you’re not asking me for a global picture but before we narrow the field entirely to Argentina, there is one external angle I would like to highlight – the tricky question of recognising China as a market economy. Argentina, equally anxious to maintain the Chinese stake here and to attract investment from elsewhere, would doubtless prefer to dodge this issue – especially as summit host – and it will be interesting to see if it comes under any pressures to face this question and how it will cope with those pressures should they arise. By the way, Chinese investment should not automatically be assumed to be a one-way street – Sinopec is in the process of pulling out of its oil interests here, apparently disenchanted with overmanning in Santa Cruz, reportedly selling out at around a quarter of the price paid to an outfit created by former YPF CEO Miguel Galuccio. “The bottom line for beginning the analysis of a trading country is always going to be the balance of trade and Argentina is now preparing to host the WTO summit at an especially negative stage in this regard. 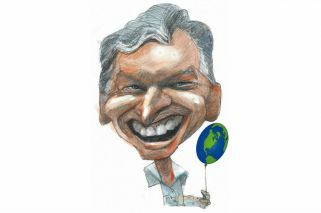 If President Mauricio Macri’s first full year in office saw the trade surplus shrink alarmingly to US$1.8 billion in 2016, this year looks like ending with an outright deficit of fully US$8 billion (almost a billion in the last measured month of October alone) – the widest gap since 1992 when convertibility was at its height. “This could be relativised as a ‘problem of growth.’ If a recessive 2016 severely crimped the capacity to import (despite loud complaints to the contrary from manufacturing lobbies), there have been no such constraints in this year of mild expansion, a credit boom and electoral feelgood – some economists estimate that imports rise three points for every percentage point of economic growth. More capital goods imported also point to increasing investment. Furthermore it could be argued that imports are catching up with a massive backlog from the closed years of Kirchnerism. But twin fiscal and commercial deficits are not the best image for any economic model – and as if those were not enough, there is the third ‘tourism deficit’ of Argentines spending abroad even more than the trade gap (some US$9 billion) in excess of what other countries spend here. “There are no dramatic changes in either domestic supply capacity or global demand to justify such a violent fluctuation from a minimal surplus to a major deficit – the explanation is basically monetary. In theory a floating exchange rate should offer the flexibility to deal with any trade imbalance but it has yet to prove a competitive plus in Argentina’s case. And not just because of tax burdens, labour costs, infrastructural neglect and other structural problems – a floating exchange rate has nevertheless resulted in a mostly static dollar. “The trade deficit is a casualty of the Central Bank’s anti-inflation strategy. In other countries high interest rates hold back prices but in Argentina they also drive down the dollar, struggling to reach 18 pesos despite inflation heading beyond 20 percent this year. The dollar simultaneously anchors inflation and absorbs it, thus effectively negating the floating exchange rate and distorting international trade. The stagnant dollar induces many farmers to hold back their crops while accelerating imports. It also makes for a financial ‘bicycle’ with extremely lucrative combinations between high interest and static exchange rates for bond investors but it is exactly the reverse for the Central Bank – running up heavy peso debts in order to buy dollars which are invested at very low rates. “The past week has included the annual conference of the Argentine Industrial Union (UIA), which was predictably critical of high interest rates as crowding out the productive sector. The critics question a system which involves pumping in money to pay off the Lebacs etc. as fast as it is ‘sterilised.’ An inflation-targeting regime with double-digit percentages (as will also be the case for the third year running in 2018) seems almost an oxymoron – there is a case for saying that such a system should not even be attempted ahead of relative price correction in the form of updating transport and utility billing (frozen for over a decade). Surely these high interest rates contradict the reform drive to lower business costs by cutting taxation and labour overheads, these industrial critics argue – if the Central Bank’s 2018 inflation forecast is 12 percent, how can a Lebac rate of 29 percent be justified? “Finally, it remains to be seen how big a splash this summit is going to make locally, tucked away in a long weekend and competing with more dramatic news ítems such as the missing submarine and slain Mapuches. A discretion which the participants probably will not mind at all (apart from the preparatory meeting in Bariloche), given the ferocity of the anti-globalisation protests against such events in more central countries. Yet this discretion could also conspire against this global summit increasing local awareness of the importance of trade. Apart from protectionist noises against alleged import floods (even if purchases abroad fell sharply last year at least), trade figures tend to be the orphan when compared to other indicators such as inflation, debt or deficit. (*) Michael Soltys, who first entered the Buenos Aires Herald in 1983, held various editorial posts at the newspaper from 1990 and was the lead writer of the publication’s editorials from 1987 until 2017.